Fear of defeat seems to be prompting TDP's chief Chandrababu Naidu indulged in futile strategies which are seen clearly misfiring. Soon after the polling was kickstarted on April 11, TDP unnecessarily started blaming Election Commission of India (ECI), EVMs and VVPATs. Following point wise analysis displays how childishly the TDP's head putting a blame on ECI and VVPATs. * Cbn alleged that he hadn't seen whom he had cast his vote. But then, only blind people can't see whom they cast their votes. 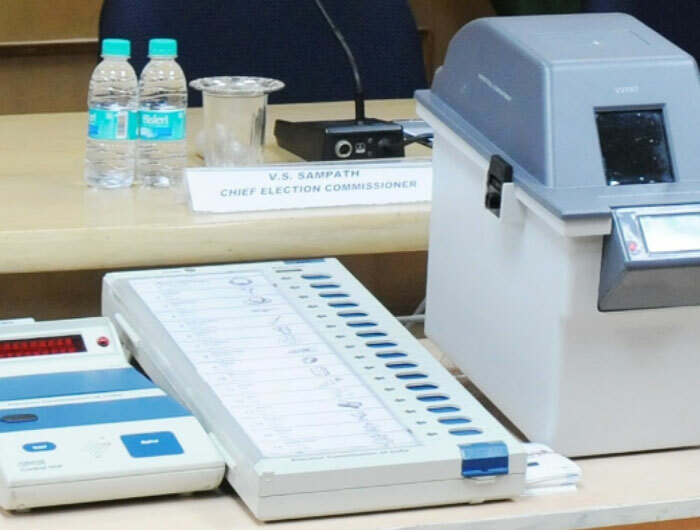 In fact, VVPAT prints a paper slip that is displayed for 7 seconds in the display section of the device. The slip consists of the serial number, name of the contestant and the symbol that his party belongs to. * If at all no slip is printed or any other symbol is printed by VVPAT, then the voter can stop polling and test his vote again. Cbn and his party's men clearly know this fact but than they are simply playing a drama ignoring this fact to mislead the people. * The polling was continued upto midnight as the polling staff didn't get trained well on operating EVMs and VVPATs which lead to the delay of start of the voting. But not for any manipulations as protested by TDP's chief. Chitralahari Heads for a Solid Hit! Pawan, Jagan Silent! CBN, KA Paul Unrest!